3 Sicilian Cyclops still alive. Sicilian Cyclops, gigantic divinities of Greek mythology with one eye, have always been linked to Sicily, its history and culture. Narrated by myths and legends, the Sicilian Cyclops became skilled craftsmen before, forging the lightning of Zeus and, pastors and monsters later in the Odyssey of Ulysses, a story that sees Sicily and its places protagonists. 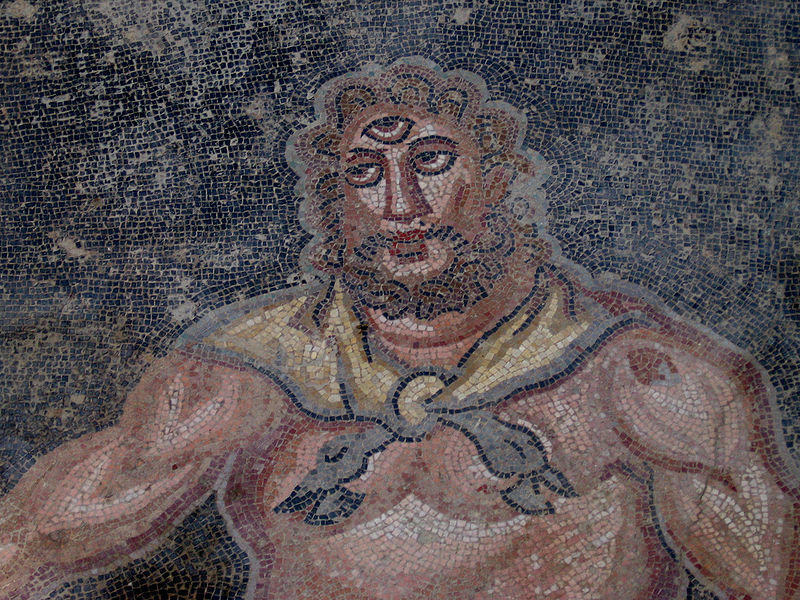 The most famous of all the Cyclops is certainly Polyphemus, legend has it that Ulysses, under the false name of “Nobody” blinded him to save his men and continue his journey. The reality is always less romantic than the legend and the origin of the cyclops in Sicily is thought to be due to archaeological findings of skulls of elephants, animals that in the past crowded the island, mistakenly mistaken for “monsters from one eye only”. The legends about the Sicilian Cyclops are many and fascinating but the question that we of JustSicily ask ourselves is: What is left today of the Cyclops? Can they also be found in this age of technology, smartphones and digital information? Obviously Yes, or rather, we can find their presence in the names and places still lives today. # 1- POLIFEMO, the most famous Cyclops and the Acitrezza Faraglioni Rocks. Blinded by Ulysses, Polyphemus, enraged and without the use of sight, threw from the summit of the Volcano Etna some big rocks to try to hit the fugitives “blindly”. 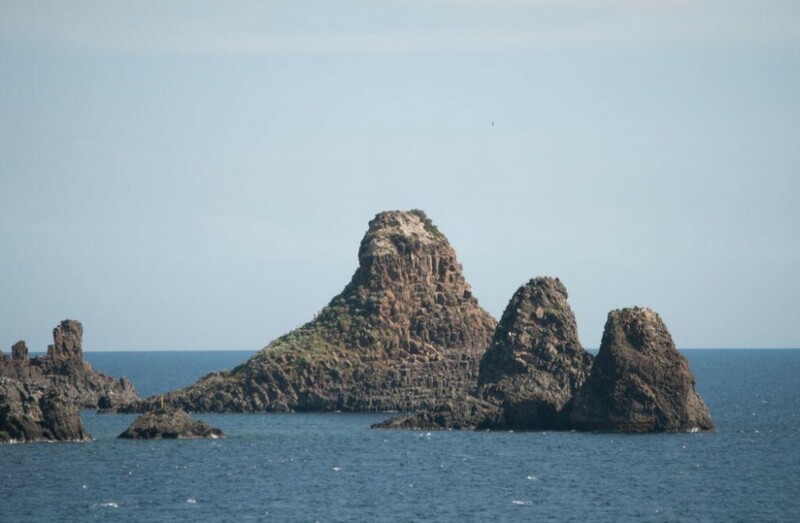 Those rocks are still visible in Acitrezza, in the province of Catania, with the name of “Faraglioni“. Hurled from the Cyclops (or rather from the geological activity of Mount Etna) create today one of the most evocative scenarios of the whole Sicily that must be seen at least once in life, perhaps enjoying a refreshing sea view tasting a typical granita ice cream. # 2- BRONTE, a thundering pistachio. 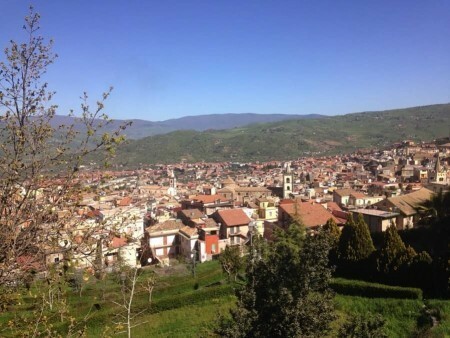 Today the name “Bronte” immediately leads the mind to the famous pistachios that grows on the slopes of Mount Etna but the name was originally of a huge, first generation, Cyclops. To be clear, the generation of artisans Cyclops came before the fearful and monstrous Polyphemus. Bronte and his brothers were sons of Uranus and Gaea, or the god of heaven and the goddess of the earth, engaged in the Etna Volcano in the production of lightning and bolts for Zeus. Bronte was the Cyclope assigned to the “Thunders“, hence the origin of the name “BRONTE=Thunder“. It is thanks to this primordial Sicilian Cyclops that today the town of Bronte exists with its immense historical wonders and its precious and delicious pistachios production. # 3- ARGE, a phantom cyclops. Arge was also a first-generation Sicilian cyclops, was the brother of Bronte and of the less famous Sterope. Also at the service of God Hephaestus for the creation of Lightning and bolts for Zeus had, contrary to his brothers, a rapid social escalation becoming a guard of the father of the Gods and was able to marrying a nymph whom they had a son: Polyphemus. Arge was killed later by Apollo, Son of Zeus and God of the sun, who killed him to avenge the murder of his son Asclepius because of Zeus. It is said that even today his shadow wandered to the slopes of the volcano Etna. 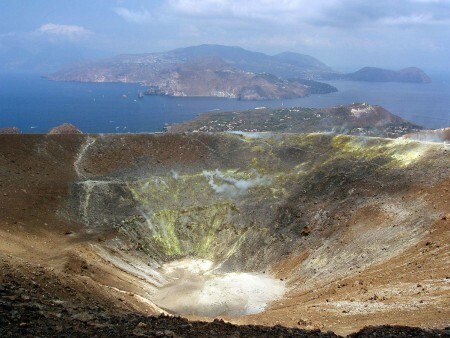 Arge was called later by Latin peoples “Acmonide” whose name is now associated with a mineral, the Acmonidesit of which the Aeolian Islands and its volcanoes are rich. Sicilian Cyclops make Sicily but especially its volcanoes, first of all Mount Etna, Hephaestus’ forge, a magic place. Walking on its slopes, observing the views and the caves dug in the millennia by lava makes us doubt that what is told by mythology is just an invented story. To view all our tours you can browse the site or click here. We are waiting for you to share together a unique experience to discover Sicily and its thousand-year-old culture.